This outfit started with the top that I fell in love with. The skirt and shoes were just too perfect a match. When I first saw all the wild colors that the Miam Miam Luxe bags came in I wondered who on earth would want them but here I am with another one. It was just the perfect thing to pull out the yellow trim. As for me, I fell in love with this skin from Another Fundraiser but the eyebrows, eh, so I decided to go with the black Irish look for once. Come visit Stilettos this weekend to pick some new shoes and support a great charity, Coats for Kids. Designers will designate a special pair of shoes in their store. Proceeds of sales of those shoes this weekend will be donated to Coats for Kids. Also, please see the schedule board located at Stilettos to see when the designers will be in their store to meet and greet with you! UPDATE: Rescheduled to Dec. 14th. 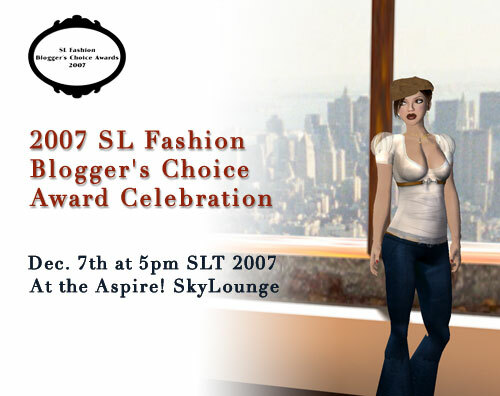 * Live Music by Keiko Takamura, 7pm SLT! 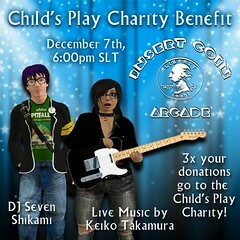 * Nerdcore ‘n Gamer DJing by Seven Shikami before and after Keiko! ALL proceeds from game plays, game purchases, and a special tipjar for the duration of the event will go to Child’s Play, the Penny Arcade charity for giving toys and games to Children’s Hospitals across the world. Come on down for fun, friends, food, and a good cause! Put your quarter up, and game on! 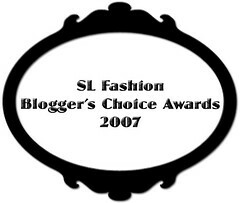 You are currently browsing the Events category at SL Fashion Notes.